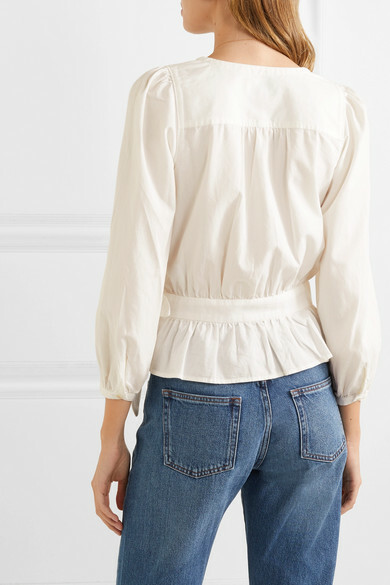 Though Madewell is best-known for its jeans, the brand applies the same vintage touch to pieces like this white top. 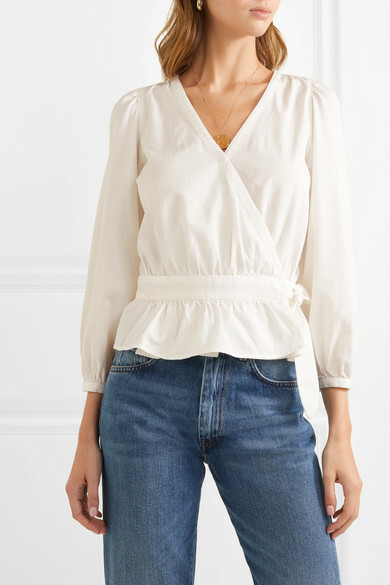 Made from soft cotton-blend, it has gentle blouson sleeves and a flattering wrap silhouette that's easy to adjust. 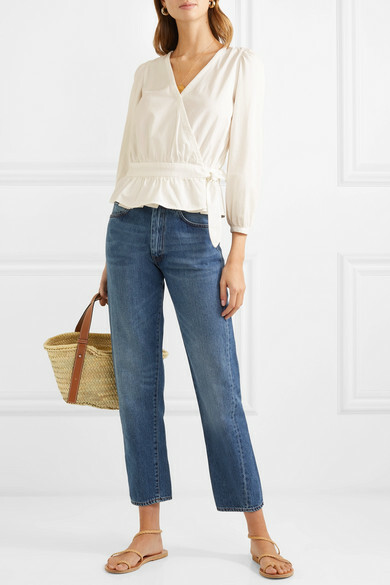 Shown here with: Totême Jeans, Loewe Tote, Ancient Greek Sandals Sandals.